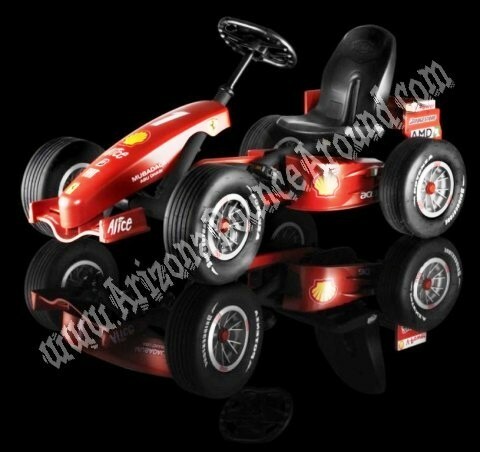 Our Ferrari Kids Race Cars are professional pedal cars with 4 wheels for added stability and feature coaster brakes and an easy to adjust seat to fit kids of all ages. Leave it to Gravity Play Events to have all the cool race cars for kids parties. Every one will have fun with the kid's race car rentals from Gravity Play Events including parents or teachers. What a better way to have a Race themed party or team building than to have a few laughs with the kids race car rentals. Rent all of your kids race car equipment from one place by calling 719-531-7510 today and have a race party to remember.